My friend Deb Lightner calls it her ah-ha moment. 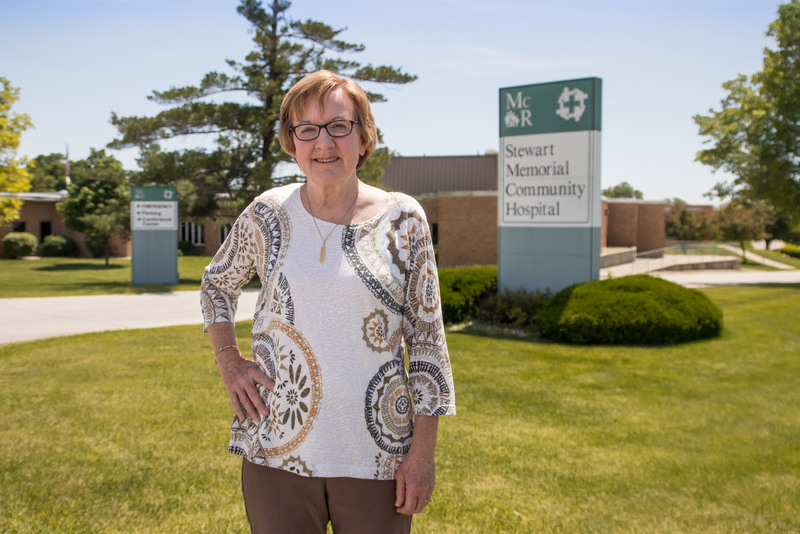 While she was well acquainted with Stewart Memorial Community Hospital (SMCH) in Lake City through her 12 years of service on the hospital board, it became personal when a good friend received care at SMCH. This experience highlighted the value of compassionate care close to home and reinforced Lightner’s commitment to SMCH, where she served on the board from 2005 to her retirement this spring. 1. Culture change. SMCH worked with the Studer Group® to build a sustainable culture that promotes accountability, fosters innovation and consistently delivers a great patient experience. This culture helps attract top talent to SMCH, a non-profit organization that employs approximately 185 full-time staff in Lake City, Lake View, Rockwell City and Gowrie. “Other hospitals around Iowa are amazed at SMCH’s ability to recruit doctors and other medical professionals,” Lightner said. 3. Inclusion. While Lightner encourages people to serve on the SMCH board, there are other ways to get involved. SMCH offers a hospital auxiliary group where members can volunteer at the SMCH gift shop, help with fundraising events and more. 4. Responsive solutions. Wellness and preventative healthcare are priorities at SMCH. “Many of SMCH’s Lunch Connection educational programs and other wellness programs are developed in response to issues the community cares about,” Lightner said. Lightner remains a strong supporter of SMCH, even though her board term is completed. “It has been an honor to work with Deb, who is one of the strongest women I know,” Carstens said. This originally appeared in the Hometown Pride section of the Fort Dodge Messenger, June 25, 2017.